NORCROSS - Greater Atlanta Christian School (GAC) is pleased to announce current Head Football Coach and Assistant Athletic Director, Tim Hardy, has been named its new Athletic Director. 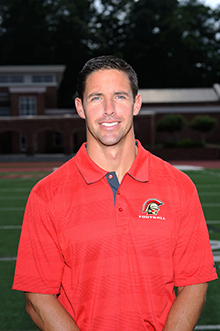 Tim has been the GAC Head Football Coach since 2012 where he has led the Spartans to a 71-13 record, including four consecutive Region championships, appearances in the State Semi-finals or Finals in five of the past six seasons, and was named the 2014 AA Coach of the year. PEACHTREE CORNERS — April 26, 2018 — Invention Project®, an educational program created by the National Inventors Hall of Fame® (NIHF), in partnership with the United States Patent and Trademark Office, is coming to the Wesleyan School the week of July 9.